Home stays are better option for saving your holiday’s budget in Kerala Hearty hospitality has always remained one of the most valued fine traditions of the Kerala culture. The great hospitality of Kerala hosts consider a guest staying his home as representative of God (“Adithidevo Bhava”). Home Stay offers peace, privacy and pure relaxation to the guests. Home Stays presents an atmosphere of a home away from your home. 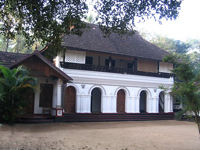 There are so many exclusive heritage Home Stays in Kerala. 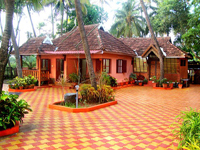 Almost all Home Stays in Kerala are in the midst of coconut palms,village surroundings and heritage structure. Home Stays in Kerala offer a place to relax and dream in with loving care and delicious Kerala food.Experience the hospitality of the host family and the unique feeling imparted while staying in a home and interacting with people of a different culture. Kerala food is one of the main attractions of Kerala home stays. Some of the host also conducts cookery classes. Home Stays are perfect destinations for couples and families seeking a private holiday and that's why we introduce the home stays in Kerala. If you wish to taste the village life of Kerala nature in a homely atmosphere, reserve your Home Stays with us. 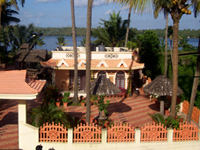 We arrange home stays in different locations of Kerala. Ocean breath heritage home stay at Cheraibeach has two Non A/C bed rooms with attached bath rooms . 24 hr.Hot water.conference / Party hall for birth day /celebration parties up to 80 persosns. The access of famous Cherai beach is only 10 foot steps. . Ocean breath modern home stay at Cherai has two bed rooms with attached bath rooms having one A/c and One Non A/C room. The modern facility kitchen with all utensils is an added facility. Fridge 24hr.Hot water. The access of famous Cherai beach is only 10 foot steps .